Vaser Lipo is the great new solution giving a safe, minimally invasive, and effective alternative to liposuction to give excellent body contouring and a more attractive silhouette. 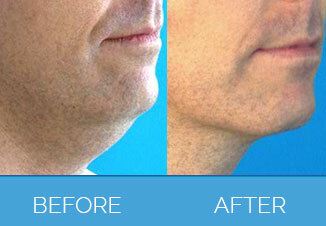 It is the ideal treatment for areas of fatty deposits such as upper arms, abdomen, bottom or hips. 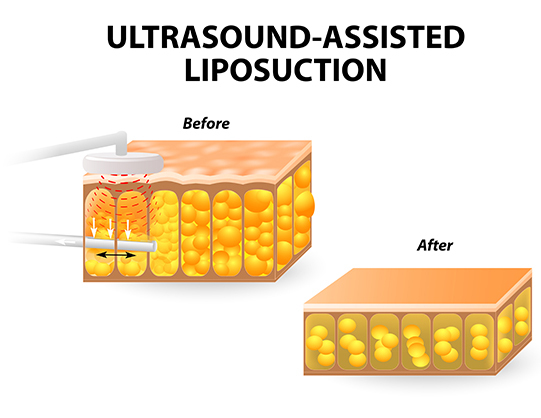 It uses ultrasound to liquefy fat and then gently remove the liquefied fat by aspiration (suction). Only a local anaesthetic is used on the area to be treated. The unique ultrasonic technology also actively tightens skin, giving you a toned appearance after the treatment. In the current age we all are trying live a healthy lifestyle and leaving our couch potato days behind. We are doing various things from following a healthy diet of five a day to getting plenty of exercise or following a healthy or low carb diet. However still men are struggling with unwanted and stubborn areas of fat on their body. It is totally acceptable for many of us to get it removed with the help of Liposuction (Fat Removal). However, with various types of fat removal procedure which includes traditional liposuction, laser liposuction, vaser liposuction or popularly called as vaser, fat freezing or smart lipo choosing the procedure itself becomes a time consuming exercise. Our aim at Nu Cosmetic Clinic is to offer you personalised treatment plan which meets your needs and hence we can refer you for traditional liposculpture, laser liposuction and our most popular Vaser liposuction. The team of experts we refer you to have performed more than few hundred of minimally invasive fat removal and contouring procedures along with Gynecomastia. The team of experienced Vaser Lipo doctors and surgeons we refer you to are Dr Vlok, Dr Dutta, Dr Siddiqi, Mr Mashhadi and have huge experience in Vaser liposuction & skin tightening procedures who all believe in carrying these procedures from 360 degree perspective to give a balanced body contour. The Vaser Liposuction procedures are carried out at carefully selected clinic and hospitals in London Harley Street, Nottingham, Birmingham, Liverpool, Manchester & Newcastle. We also offer next generation of Vaser Liposuction referrals for men known as Vaser Hi-Def which gives definition including six packs and more masculine appearance. 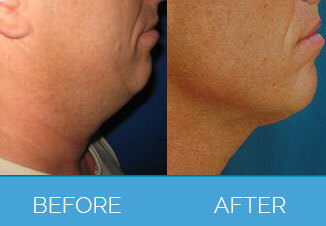 Vaser Lipo is the only fat reducing treatment that has unique tissue-selective technology. This means that important structures around the treatment area (such as blood vessels, muscle and connective tissue) are only minimally affected by the procedure. Treatments normally take between 45 and 90 minutes depending on the area to be treated and no overnight stay is required. You can expect to see a change in your shape immediately after treatment, and this will improve week on week. But, the full effect won’t be visible for 3 to 6 months after your procedure. After treatment, you may experience some bruising, swelling, redness and loose skin around the treatment area, but this will subside over the following weeks. We recommend that you have day or two of rest before resuming normal activities and we will advise you to wear a compression garment for two weeks after the procedure to help the healing process. There are no patient stories for Vaser Lipo. Any form of cosmetic enhancement is very personal, so prices are bespoke dependent on your individual needs. As a rough guide, you can expect to pay £1990 onwards.